The Chills-I Only Want to See You Alone Again 7"
The Chills-House with 100 Rooms 12"
Brown Velvet Couch-Once in a Very Blue Moon 7"
Alastair Galbraith and Demarnia Lloyd-Tae Keening 7"
The Garbage and The Flowers-Catnip 7"
Peter Jefferies and Robbie Muir-Catapult 7"
Peter Jefferies and Robbie Muir-Swerve double 7"
Peter Jefferies and Stephen Kilroy-Crossover 7"
Queen Meanie Puss-The Beauty of Dogs 7"
Queen Meanie Puss-The Darkling 7"
Link in comments, along with a link to a zip of the cover art of these singles. Wow. Four brief, beautiful songs by the New Zealand wonders including Robert Scott (of the Bats and the Clean), Jane Sinnott (who channels Sandy Denny here) and their new rhythm section. A one-time Flying Nun act, Graham Downes' Verlaines produced some of the most sophisticated indie pop of the '80s while on the label, and made it to America all too ahead of their time. With Over the Moon, the Los Angeles production replaces the antipodean garage that gave their albums Bird Dog and Hallelujah All the Way Home such a distinctive character, which highlighted the eccentric songwriting sensibilities of Downes. His only peers in the craft being Go-Betweens frontman Robert Forster and fellow Kiwi Martin Phillips of the Chills for absolute mastery of the art. 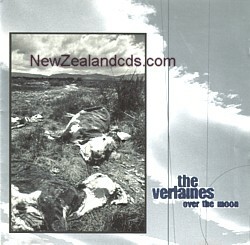 The collection here has all of the distinctive traits that made the Verlaines so special -- quirky lyrics, Baroque string arrangements, and incessant guitar jangle, but somehow Over the Moon sounds a little lackluster with time. Ironically, though, it contains some of his most developed lyric writing and arranging skills, proving that it takes more than production trends to overshadow such genius. somehow following a chosen direction on the night. Their sole studio legacy was a 5-track EP which came out in 1982 on Flying Nun. This recording demonstrates (with rare aural clarity) the genuine songwriting prowess of Steven Cogle and Peter Stapleton. A super obscure Dead C release. This album was only released on vinyl, but this is a great sounding vinyl rip. This is a great addition to any Dead C collection. Here's more from the Noizyland side of things. It's A Handful of Dust's album Concord from 1993 along with extra tracks from their In The House Of Voluntary Poverty single (1994) and a track from Speed Kills Vol. 7 (1995). All ripped from vinyl. A Handful of Dust is one of bruce russell's (dead c) darkest outfits, often dealing with distinct imagery and motif's in their music and especially pro-nounced in their liner notes (most of which are distributed through russell's corpus hermeticum label). essentially a russell solo show, but alastair galbraith and peter stapleton are both regular contributors. 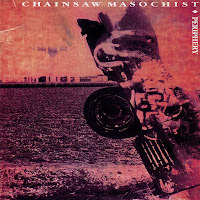 Chainsaw Masochists are a curious band to be on the Flying Nun roster. They are from New Zealand yet at first blush they don't sound like the "Flying Nun sound" - at certain moments you can hear traces of Aussie bands like The Church or The Go-Betweens, at others there's a twinkle of British bands like The Weather Prophets or Ride. But after a while you start to hear the jangle reminiscent of most F-Nun bands during the early 1990s and it all starts to make sense. This is their lone album from 1991, ripped from vinyl. Another obscure album from 1991. This sounds quite a bit like a cross between the Able Tasmans and The Bats. This (along with the album before it) are ripped from vinyl. No cover art for this one either. A rather obscure album released on Flying Nun in 1991. 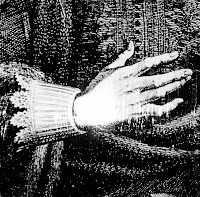 Comparisons can be drawn between this album and The Clean, David Kilgour even guests on the album. One of dave mitchell's earliest bands (while he was still based in auckland, no less), the exploding budgies sounded british, and ignored then evolving jangly sound and vocal approach that had become our trademark (taking on more of a smiths swagger..). 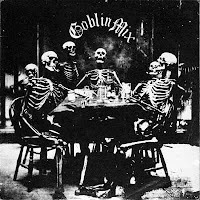 They only released an ep (eventually issued on flying nun) before mitchell moved on to form goblin mix. 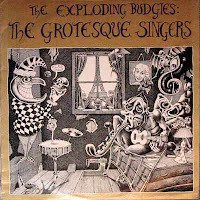 both bands collective material were later compiled on the excellent the complete goblin mix and the exploding budgies - also on flying nun. Revolving line-up of a flying nun outfit - george henderson, lesley paris, norma o'malley, peter gutteridge, ross jackson, lindsay maitland, jenny crooks, rochard cotton, norman dufty and vikki wilkinson. 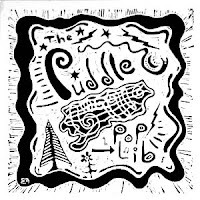 as george hendersons' project the puddle are considered as possible the great under-appretiated new zealand band, most probably hastened by the groups lack of recorded output and the notoriety of henderson himself over the years. thankfully in 2005 the group started to gain moment once more, with henderson again recording material, and the group performing live with more regularity. 2006 saw the release of songs for emily valentine on the powertool distribution label. A rather obscure compilation from the 80's consisting of only live recordings. Some rather great material from favorites like The Tall Dwarves and The Stones plus more obscure acts like Eight Living Legs & The Heptocrats. and the Hey Seuss 7"
Flying Nun Records was formed in Christchurch in 1981 by music shop proprietor Roger Shepherd in the flurry of new punk rock-inspired labels forming in the early 80s. The intention was to record original local music of Christchurch, but soon the label rose to national and international prominence by championing the emerging sound of music from New Zealand. 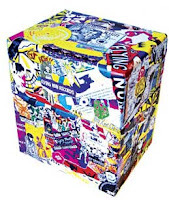 Twenty-five years later and over 499 records since, this is the first-ever FLYING NUN box set! The amazing package contains 4 CDs, featuring the cream of the artists that FN have had to offer over the years -- and also includes a 100-page coffee table book. The deluxe booklet features graphic novel-format liner notes, illustrations and photos created by each musician /band who has a track on the box set. The set features over 80 songs, chosen and put in a chronological order by Roger Shepherd, founder of Flying Nun. The box set is very design / artwork based -- did we mention the amazing packaging! Disc 1 Availiable Tonight, other discs are coming in the next few days. The Double Happys were straight outta Brockville. They picked up every bit of white trash rock'n'roll they could find and plundered it, ridiculed it and played it. You only have to remember "Big Fat Elvis" or listen to this new compilation, Nerves, to know that when it was time to get double happy, as they sang in the classic "Needles and Plastic", it was time for "an unbridled up-your storm fed by melody, grunge and straight talking" as Richard Langston wrote in Dunedin's Garage magazine in 1985. 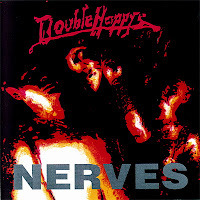 The Double Happys first formed sometime in 1983 when former Bored Games vocalist, Shayne Carter, fresh from wailing and playing guitar a series of bands like the Cartiledge Family that never really got off the ground, joined forces with Wayne Elsey, once too a Kaikorai High punk rocker in Bored Games and late of The Stones. They had a drum machine called Herbie Fuckface, who lived up to his name by subverting most of the duo's efforts onstage and quickly called for human replacement in the form of another old schoolmate, John Collie. Their short career was ended by the tragic death of Wayne Elsey in the North Island in 1985. They'd finished the EP and Cut It Out was everything it promised to be. Shayne and John formed the Straitjacket Fits after Shayne recorded the single "Randolph's Going Home" with Peter Jefferies. But plenty of people still talk about the Double Happys. Nerves contains all the Flying Nun recordings, two songs which first appeared on the live recorded How Much Time Left, Please? 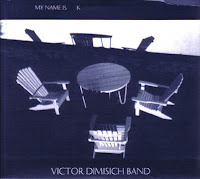 EP released in the UK in 1991 and two tracks recorded as demos with the original drummer, Herbie. As Roy Colbert's liner notes say, the Double Happys were a memorable band, and Nerves is going to be a fine way to remember them by. Bell's first album is almost a collaboration with fellow Kiwi cult figure Peter Jefferies, who plays on half of the album's tracks (his piano on "Black Into Blue" practically gives away the identity of the performer) and also assumes engineering and mixing duties. At times, Bell comes very close to being his musical fraternal twin, as the gloomy, piano-led "Inner State" shows especially. While there's the same sense of what is at times delicate and other times rampaging electric claustrophobia throughout Dreams that often crops up in Jefferies' work sonically, Bell is still the central figure, and quite a figure she cuts. Playing a solid range of instruments, from guitar to didgeridoo, and singing in a low, sometimes intentionally mixed-down tone, her abilities and sharp poetry make the occasional comparisons to Patti Smith understandable without being obvious. Bell is her own person, and her words of urban alienation and strange, mystic images find good company with the music, a fair chunk of which she composed on her own as well. Sometimes she keeps things simpler, as on "Manai," with driving, dark guitar tones supporting her mantra-like tale of a mystic wanderer. Elsewhere, she's not afraid of a little bit of noise; the wittily titled "Sunday Nihilism" features a wonderfully snarling central riff, with her vocals all but buried under shifting washes of fuzz, rhythm, and sound. Besides Jefferies, a strong set of fellow New Zealand artists contributes to the proceedings, including violin legend Alastair Galbraith, 3Ds guitarist David Mitchell, and Look Blue Go Purple veteran Kathy Bull. For all the various, often striking guest performances, one of Bell's most effective moments on the disc is "Lost Train"; completely on her own in this track, she plays guitar and various kinds of piano. The song has an ominous, almost industrial start, with dark currents of sound weaving through the mix as Bell delivers her equally unsettling lyric. 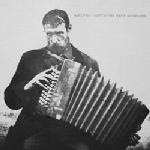 Anyone have the cover of this album? Sonic Super Free Hi-Fi offers up a frightening cocktail of swinging beats and wild guitar with driving organ to kick things along where they need it most. From surf instrumentals to psychedelia to rawk, King Loser always play the suave cards in the musical deck. Guitarist Chris Heazlewood and Celia on keyboards and bass front the band, sharing vocal duties like Nancy Sinatra and Lee Hazelwood in a nasty mood. Behind them, guitarist Sean O'Reilly bends the sound out there while drummer Tribal Thunder holds it down. In 1995 they wowed New Zealand and Australia... in 1996, the rest of the world is surely in danger! Here you will find a collection of early Snapper material. Snapper has a reputation of being Stereolab before Stereolab existed. The similarities of some of this material to the sound of Switch On & Peng-Era Stereolab is uncanny. There is also a clear Jesus & Mary Chain influence to the treament of the vocals. 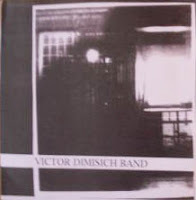 With that said, the band brings a great deal of their own aesthetic to the table while blending in a variety of Krautrock influences to their sound. 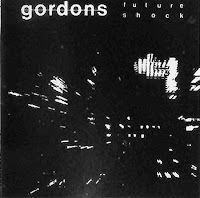 The Future Shock EP shows all the same qualities of the later debut, with a slightly more lo-fi recording. The title track shows the bands original punk leanings, flying through a churning guitar and bass driven number at considerable speed with Parker’s nonsense lyrics punctuating the aggressive attack of the song. The closer, ‘Adults and Children’, is something of a kiwi punk classic. Pummeling guitar and bass riffs immediately allow Parker to scream maniacally over top. It makes for one hell of a great, gleeful pop number, on line with the Clean’s own ‘Tally Ho’. The New Zealand rock scene, despite producing an unprecedented number of worthwhile projects, hasn't received the recognition is probably deserves in the international sense. For those not familiar with the scene, Killing Capitalism with Kindness might be a decent overview -- the record collects otherwise unreleased tracks from New Zealand mainstays like Alistair Galbraith, Alf Danielson, David Mitchell, Trash, Kathy Bull, Sandra Bell, David Kilgour, Stephen Kilroy, This Kind of Punshiment, and many others. The work is of the same high quality that's made the New Zealand scene so solid, and it's always fascinating to hear what this cadre of musicians can produce. The Dunedin Double EP established the names of four of these groups, each of which was represented on the double EP by one side. The four bands concerned were The Chills, Sneaky Feelings, The Stones, and The Verlaines. The Chills' song Kaleidoscope World in particular became very popular, gaining considerable airplay for the band (It later provided the title for the band's first album, a compilation of their early singles and EP tracks. Thanks again to Jay Beck. While part of the Clean's undeniable charm is its overall familiarity -- every new album, when it appears, feeling like another pleasant greeting from an old friend -- it's a familiarity that doesn't breed contempt. The archly titled Modern Rock, slyly digging at the tag often applied to the band's music in earlier years, a la "college rock," finds the trio merrily making its way through fourteen gently rocking, gently chiming originals. Though recorded over only ten days, the combined experience and ability of the three members allowed them to whip up a fairly elaborate set of songs, as indicated by some of the intriguing arrangements. The spacey echo on the keyboards for "Outside the Cage" and spectral backing vocals on "Something I Need" are two highlights among many. There's also a pleasant low fuzz at points bespeaking both the continuing influence of the Velvet Underground and New Zealand's vaunted tape subculture that seems just right for the proceedings. Hearing Scott's vocals on a slightly different tip than his work in the Bats is especially a treat -- after the series of eternally sparkling jangle-rock he's made his own, hearing more consciously experimental touches behind his voice makes a fine contrast. The Kilgours continue in their own particular veins, with everyone trading around vocals in a fairly even split. Those familiar with the band mostly through "Tally Ho!" or the other earlier work will find this version of the Clean -- generally calmer in many areas, downright reflective or melancholic in more -- an intriguing change. The members have matured, but in such a way as not to sound like typically sleepy midlife crises come to life. 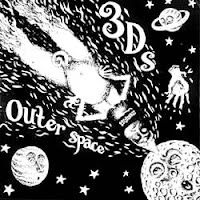 The opening track "First Church" helps to clarify exactly how the 3Ds got tagged as the New Zealand Pixies from the start, with a similar sense of punk aggression, squealed vocals, and barely-controlled insanity. There was always something just a little off about the band as a result, making the foursome all the more fun to listen to. 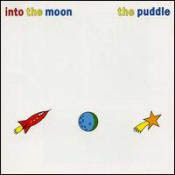 A definite difference from the Pixies is that Denise Roughan was as much the lead singer as David Mitchell at the point of this album; her wistful vocals on the wonderful "Dreams of Herge," inspired by the creator of the legendary comic character Tintin, makes that song one of the EP's clear highlights. 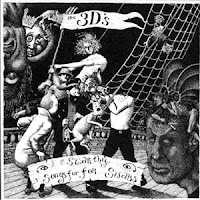 Songtitles like "Evocation of W. C. Fields" and "The Ball of Purple Cotton" (the latter a hazy, gentle float of noise backing Roughan's recount of a strange dream) help indicate the somewhat skewed worldview at play, making Fish Tails, on the whole, a fun blast of off-kilter rock noise for the adventuresome listener who still likes a bit of relative straighforwardness in the middle of it all. You can thank Jay Beck for this one! Chug makes perfectly representative music for Flying Nun's second decade -- if nothing is as suddenly new or different as earlier reinventions of emotional, powerful rock, both the label and many of its newer bands still deliver the goods. Alf Danielson's fuzz bass may kick things off, but it's guitarist/keyboardist Norma O'Malley who gets the first words in on "Evel Knievel," a nicely angular piece of wigginess that sets the tone of Sassafras. Chug clearly sound like a product of their environment, fusing both catchy, almost power pop hooks (at least at times) with all sorts of frazzled guitar and musical crashes & changes, not to mention occasional blended harmonies. There's the rough accessibility of bands like the Jean Paul Sartre Experience or the 3Ds on the one hand, and the hints of crazed guitar madness from the Xpressway bunch on the other. Even "Golden Mile," with what sounds initially like a motorik groove a la Stereolab, has a stronger sonic connection with Snapper. Other bands are clearly in the sonic stew as well -- Sonic Youth squalls crop up more than once -- yet while Chug might not immediately stand out, they bring a good energy to what they do, and are able to put their own stamp on things well throughout. Danielson and O'Malley make for a good vocal team and each can hold their own individually -- and while Danielson sometimes buries his vocals, when speaking up he has some nicely winsome tones. O'Malley is clearer in contrast, sounding perhaps a touch more engaged as a result, while her organ work adds a lovely swathe of warm sound to the proceedings. Highlights include the attractive psych-tinged "Long Haul," with O'Malley contributing some very Doors-like keyboards; the stomping, very heavy "Witches"; and the great, feedback-laden groove of "Mustang." Thanks to Jay Beck for uncovering this one! A collection of material from the first year and a half of the dead c's existence. "Max Harris" arguably one of the best tracks from the band appears here in two forms. An interesting release for those who are interested in hearing the band in it's embryonic form. 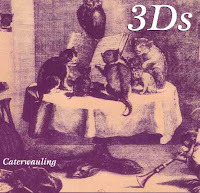 This blog will be closing for good (this time for real) on April 1st, 2008 to focus my attention on a new blog that will be opening some time later in the Spring. Please send all contributions to kiwitapes (at) gmail.com. All New Zealand-related contributions are welcome, if it's not on this site we want it. Please note the following the closing of the site, the download links will not be taken down. All the closing means is no new updates. The purpose of this blog is to expose you to great music that you otherwise wouldn't have been able to get your hands on. That said, if you dig any of this music, please buy as much as you can from those artists and support them. By downloading these albums, you agree to have them for review purposes only. You must either purchase the work of music or delete it from your computer in 48 hours. If you are an artist or a label and you wish to have any of your music removed, please contact me at kiwitapes@gmail.com and your music will be removed immediately.